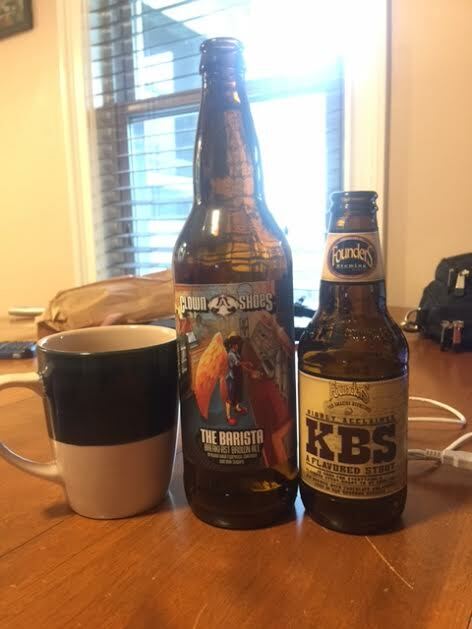 The guys have KBS by Founders and Barista by Clown Shoes. There was also folgers coffee. They discussed the end of Ben Kenna's drinking, seeing an accident and how to handle it, and they did some segments for the first time in a long time. Oh and Halloween plans were made.